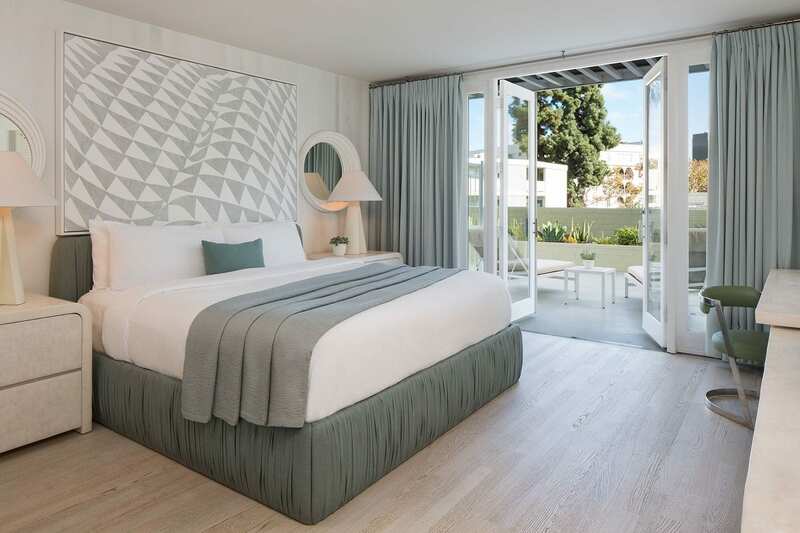 Curated by Kelly Wearstler, our guest rooms play upon the designer’s distinctive take on exuberant, well-curated spaces and West Coast chill. Our Classic King features a king size bed, city views, seated alcove, bespoke furnishings and ample workspace. Select room offer private patios. Think of this as your own private hideaway – located in the Beverly Tower just steps away from the lobby or our Canon Building nestled on a secluded neighborhood street, with the feel of a private residence. Accessible rooms available.